Sunday, April 22nd was a beautiful spring day in San Jose. 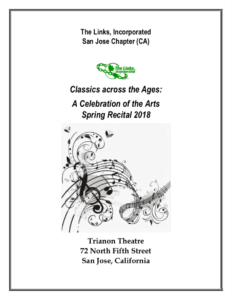 The perfect day for the San Jose (CA) Links to host the twelfth Celebration of The Arts Spring Recital (Click on the image on the right to download the official event program). Many concluded that this was the best display of talent of all the Spring Recitals. Four of the performers had participated previously and it was amazing to see the growth in their skill. One of the performers joined the El Camino Youth Symphony and performed for the Steinway Society on the same day as our recital.  The San Jose Links have connected with these kids and their parents who do all that they can to ensure their participation. These young people are exemplary in character, academics and talent. They are winning awards in science fair competitions, making honor roll and very involved in their schools and commu nity. Link Harriet Arnold, Charter member, alumnae and former Arts Chair opened the program. She spoke about the talent the audience was going to witness and introduced the first whom played 32 Variations in C minor, Wo0 80 by Ludwig van Beethoven an 11-minute piece. Everyone was awed by the talent that was displayed. 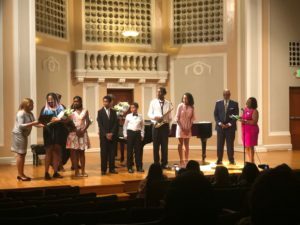 This performance was followed our very own opera vocalist, performing “Sometimes I Feel Like a Motherless Child” composed by Harry T. Burleigh with Kameron accompanying her on the piano. Once again, the audience was frozen in attention, amazed by the display of talent. From there our Mistress of Ceremonies went on to do, introducing the next pianist who performed the French Song by Yann Tiersen and The Irish Wedding Song composer unknown. This display of talent was sweet and tender. 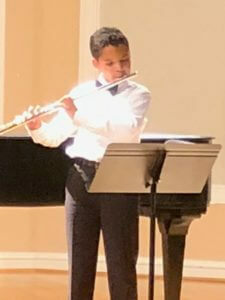 Our youngest performer a flautist was introduced who performed two selections Siciliana and Giga from Sonata V by and Berceuse Gabriel by Fauré. Our final pianist performed Sonata No.14 in C-Sharp Major by. This young man is so polite and kind. He is smart and attends one of the top private schools in San Jose where the acceptance standards are high and you must continue to do well academically to remain. 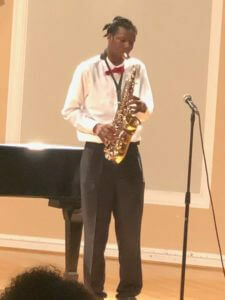 Our recital was closed out with a saxophone performance by a wonderful upcoming jazz artist performing Étude No. 19 by and . To have a successful recital, funds are a must. The recital theatre is the largest expense. 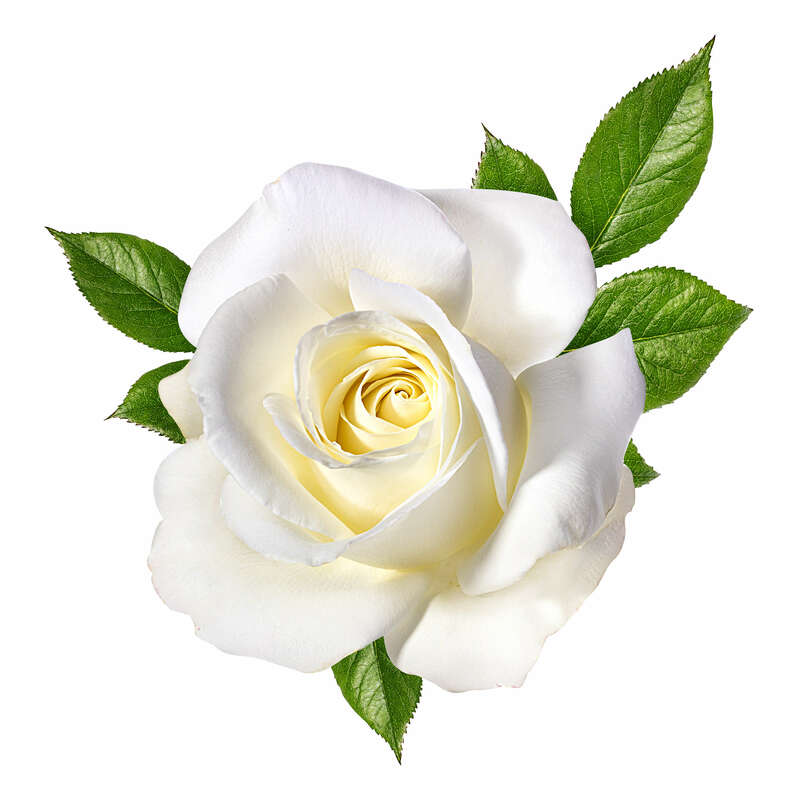 The recital is made possible by inviting patrons of the Arts to donate to the San Jose Links Arts Facet along with the Links budget line item to allow us to put on this recital. In addition, Gamma Chi Boule makes a substantial donation. The Sire Archon Bobby Sisk was invited to the stage who expressed his appreciation for music and how impressed he was by the talent. 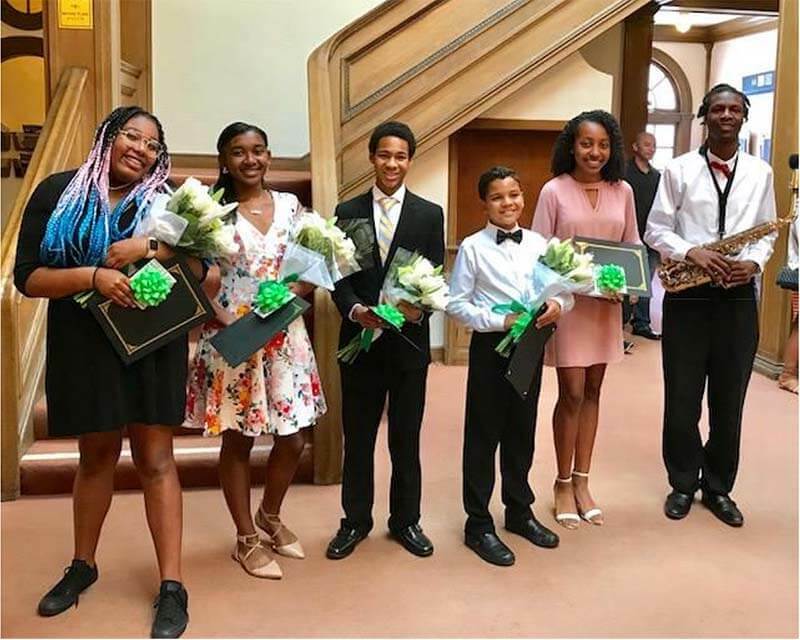 He stated how so much of what is on the news is about our black youth doing non-productive things and that the recital is what should be shown on the news. The audience all expressed their agreement. Afterwards, Bobby presented the San Jose (CA) Links with a check from Gamma Chi Boule. 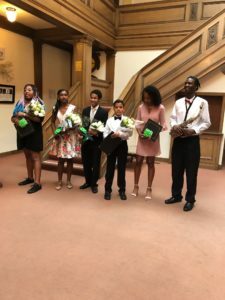 To close out the formal program each performer and the mistress of ceremonies were noted and presented with a bouquet of white roses, certificate and $150.00 gift card. Khalil, one of the performers is departing the Bay Area to attend Berklee School of Music, located in Boston, Massachusetts. Even though he was provided with a substantial scholarship he was still considerably short of funds. While our chapter could not fully provide the shortage of funds needed, at the chapter meeting we put in place a plan to put a dent in it. Two years ago, the new member project raised funds to expand exposure to music to youths and pay for music lessons. The total raised was $2,900. There was $1,300 remaining from this effort. The decision was made to distribute the remaining balance from this new member project to this performer. 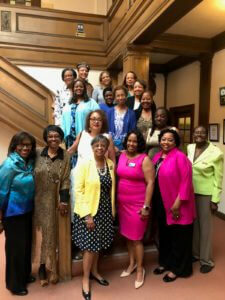 In addition, many chapter members wrote personal checks. We proudly presented Khalil with a check for $1,700.00 and individually written checks for a total of $2,800.00. Khalil was stunned. We told Khalil that there was a string attached to our giving him these funds. We told him that he was obligated to keep in touch with us. He smiled and said that would be very easy to do. I could see his mother sitting in the audience, she was in tears, his father stood up and gave us a bow. Speaking for all the chapter members present, that was such a great moment. One of those times where the reactions were priceless and the memory will remain for a lifetime. This year our mentoring session was after the recital doubling also as a celebration. The mentor, Glen Pearson is currently the Chair of the Department of Music at College of Alameda. He is a noted recording artist and respected music personality having worked on and off Broadway with such notables as Savion Glover, Gregory Hines, Arthur Miller, Patrick Stewart and George Wolfe. He also served for eleven years as the Musical/Band Director for the World Renowned “Boys’ Choir of Harlem”. The kids relate to Glen. He somehow draws them out while giving and suggesting practical advice. Now that the 2018 Spring Recital is over, we will begin planning for next year. Two of our returning performers will be seniors. We have started a trend by giving Khalil a substantial music stipend. 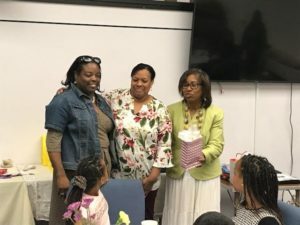 The Arts Facet plans to leverage our resources to assist with the Chapter providing the two seniors with a scholarship.